Most of my life I’ve wished I was born a few days earlier, mainly because my birthstone would be an emerald instead of pearl or alexandrite. 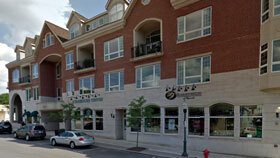 When it came time to buy my high school class ring, I chose the emerald green stone rather than the pale purple one. When my husband and I designed our 30-year anniversary ring, we designed it with an emerald for the center stone, even though pearl is the traditional gift for the 30-year anniversary. As you can see, I’ve always just gone with what I wanted rather than what I was ‘supposed’ to want. But my decisions got me to thinking about the origin of birthstones. Who deemed that each month be represented by a different gemstone? When was this decision made? And why? My research on these questions has revealed an interesting and somewhat nonsensical journey. 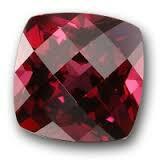 Most sources say that the idea of birthstones started with the Bible and Aaron’s breastplate. Aaron had 12 stones in his breastplate, representing the 12 tribes of Israel. No one knows for sure what the 12 stones were, but chances are high that they were pretty rocks, like jasper or lapis. These are rocks that were native to the area. A first century historian named Josephus supposedly made the numeric connection between the 12 stones and the 12 months of the year. For centuries the idea was to have 12 stones, carrying a different one each month. They weren’t really birthstones because they weren’t associated with the owner’s birth. They were associated with months of the year. The individual stones were supposed to bring good luck and good health during each one’s specific month. But somewhere along the way, the idea changed. Experts say that between the 15th and 18th centuries, people began to see themselves as having one stone, corresponding to the month of their birth, that would bring them good fortune. These stones, with a few exceptions, are very different from the birthstones of today. Have you ever heard of bloodstone? 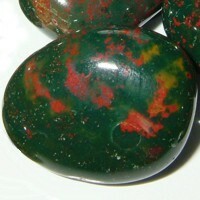 It’s an opaque green stone with red spots. It was the birthstone for March. How about sardonyx? That’s a banded, rusty brown-colored, translucent chalcedony that was the birthstone for August. In 1912, Jewelers of America, an association with a definite interest in marketing gemstones, sought to standardize the list. The official list of birthstones had garnet, amethyst, aquamarine, diamond, emerald, pearl, ruby, peridot, sapphire, opal, topaz (the orange-yellow-brown kind), and turquoise. 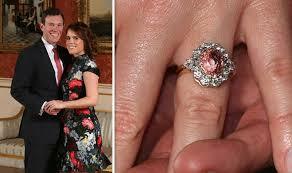 Some of the months had two birthstones, partly in deference to the traditional stones. So March had aquamarine AND bloodstone. August had peridot AND sardonyx. But, let’s face it, if you were born in March, which gem would you rather have? A transparent medium blue one or an opaque dark green one with red blemishes? It didn’t take long to drop these traditional choices. The 1912 list has had few changes in the last 100+ years. 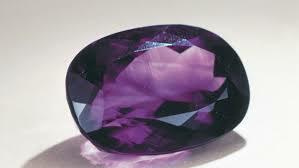 In 1952, alexandrite was added as a birthstone for June and citrine was added as a birthstone for November. December’s traditional birthstone of lapis lazuli was replaced with blue zircon. In 2002, tanzanite, the blue-purple gemstone that had been discovered in 1967, was added to the list for December. And, most recently, in 2016, spinel was added as a birthstone for August. Why the additions? Many people would say it’s a marketing move. Birthstones aren’t really seen as bringing good luck or good health anymore. They don’t have the significance they used to have. They’re just fun. So why not have more choices? I’m really happy for all you August babies who no longer feel confined to the yellowish-green of peridot. 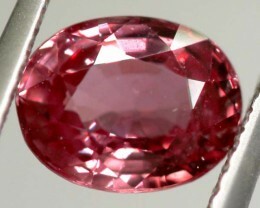 Spinel offers great variety! (See my blog on spinel–July 28, 2016). So, what do we make of this idea of birthstones? To me it sounds like a complicated game of Telephone. Do you remember that game when someone whispers a phrase to someone else, and it goes around the circle? The final uttering of the phrase bears no resemblance to the original. That’s how I feel birthstones came to be. From Aaron’s breastplate to the writings of Josephus to the Jewelers’ list, it’s a crazy, convoluted path. But this is where we are and what we have. My suggestion? Adopt your favorite gemstone, the one that has meaning to you, and make it YOUR birthstone.